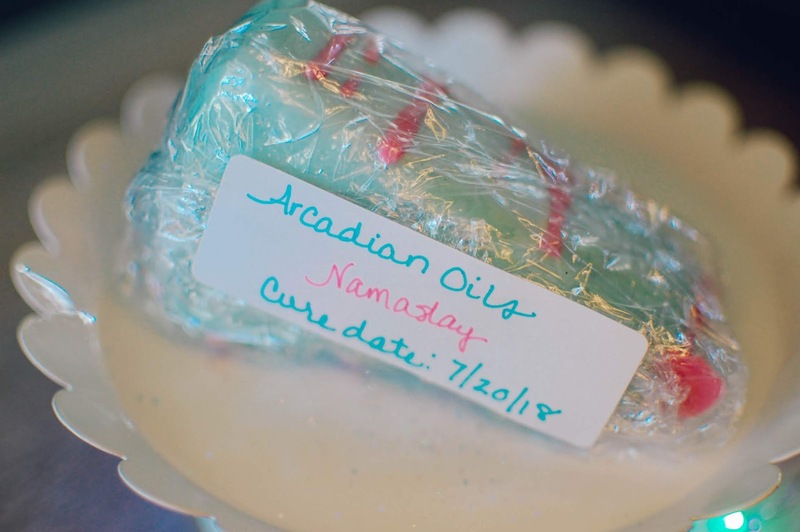 Arcadian Oils was a perfume and wax indie company run by a sweet lady named CariAnne. I believe it was open for a few months selling perfume oils and then wax tarts. I placed a pre-order for a few scents during the time the store was open, on May 2nd. Her supplies were on backorder so the TAT was increased a few weeks but I am pretty patient when it comes to wax. Sniff My Tarts will harden any TAT watcher. She kept in good contact and let me know when her supplies were in and when the order was shipping out. Everything arrived in great condition around July 2nd and even included an extra tart for the wait. 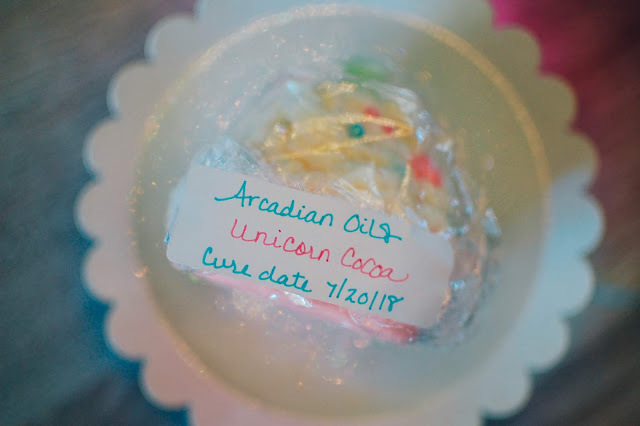 Unicorn Cocoa was the freebie. It is some type of chocolate scent. Maybe hot cocoa with marshmallows? A nice scent for chocolate lovers. It is adorable as all get-out. 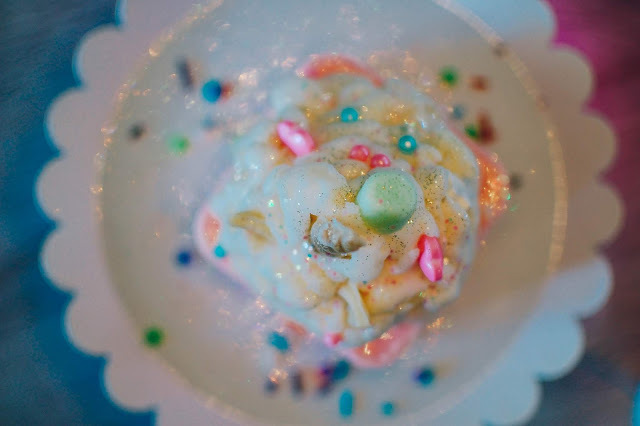 There are ears and a gilded unicorn horn in the pile of whipped wax cream. More photos to follow. I won't have scent descriptions since the website is closed. Namaslay is the prettiest wax in the bunch. 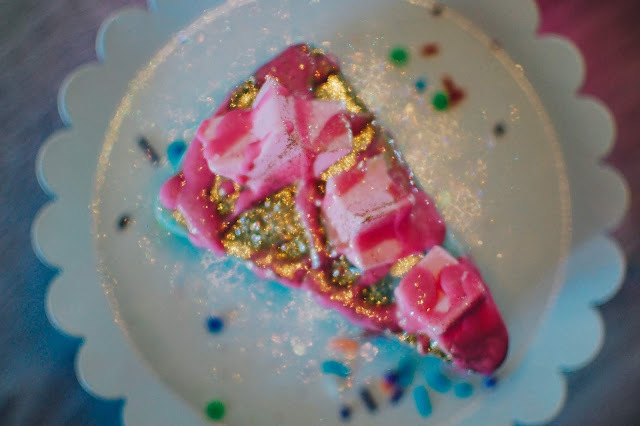 This decorated slice of cake was $7.00. The scent is a musky sweet spa-like fruity floral. 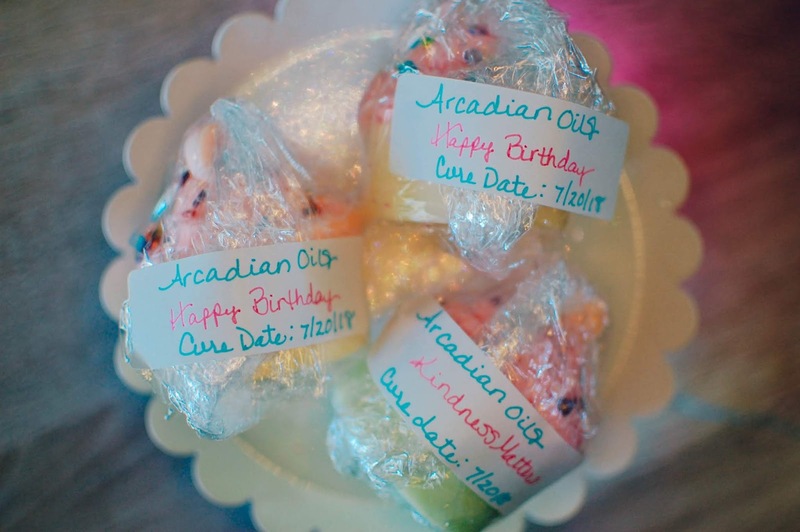 Three cupcake wax tarts were purchased as well. Kindness Matters ($5.00) is the one with the purple sprinkles in the lower right hand corner. Happy Birthday are the other two wax tarts ($9.50- a Trinket Sampler Set). Kindness Matters melted into a lovely sweet amber scent. It threw at a medium-strong and was very nice to have in the living area and kitchen. 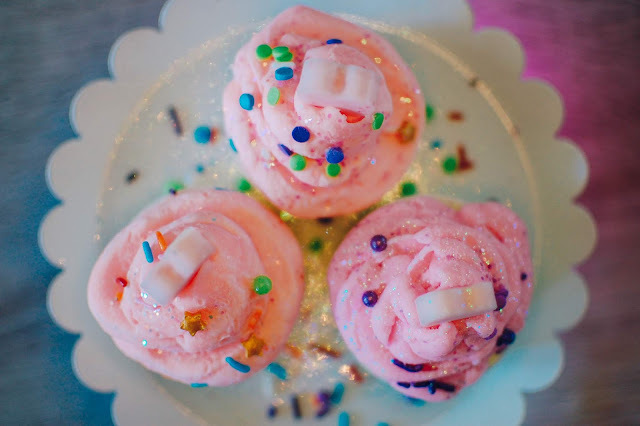 Happy Birthday is a strong vanilla cake that almost reminds me of the Cupcakes At Tiffany's scent. Look how cute that unicorn is! And the glitter on Namaslay is pretty sweet. I love the colors and the detail that went into this wax. A slice of the tip threw medium in my bedroom. 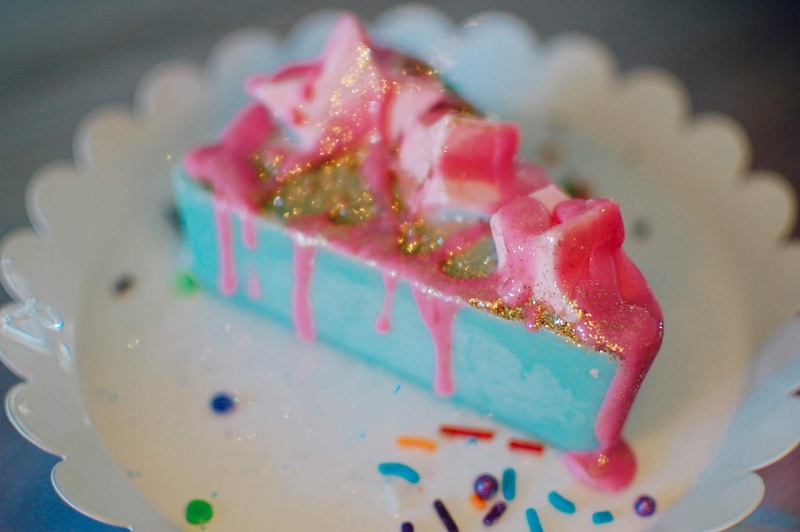 - Very creative wax tarts. - Wax tarts would look more presentable and last longer in a bakery bag instead of plastic wrap. Sometimes vendors re-open so I am going ahead and posting this. It made for nice wax eye candy at any rate. How was your weekend? Anything exciting going on? My gosh, those are so stinkin' cute! 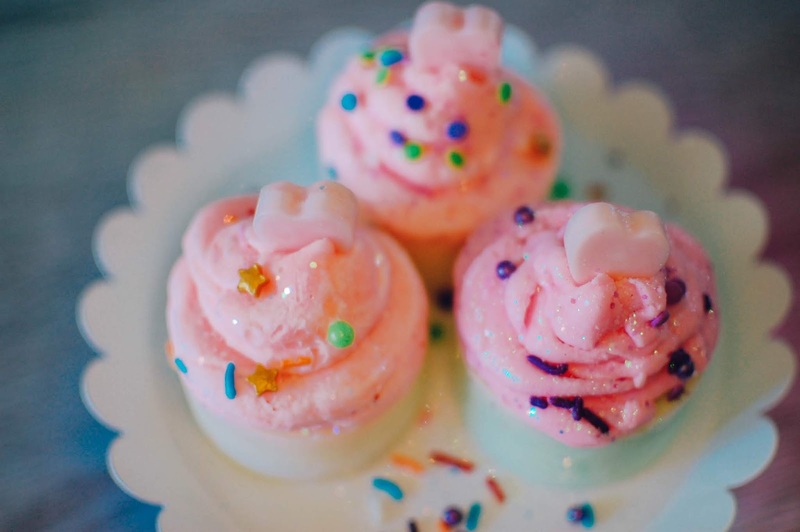 The little unicorn tart reminds me of these cupcakes that are popping up all over Disney (I think the Boardwalk Bakery at the Boardwalk Resort has an amazing looking rainbow swirl unicupcake with a cute little glittery horn in the middle; unicorns are very of the moment, are they not?) Shame they're closed, though - do you think for good? Seems like an exceptionally short lifetime for a vendor, unfortunately. They are pretty cute. I have not seen these cupcakes you speak of but I will have to check it out. We went to the Boardwalk for dinner one night last summer. 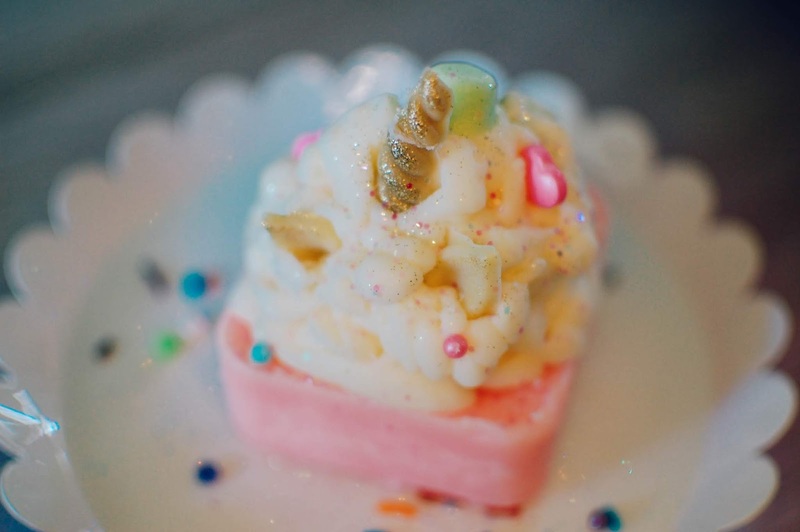 I will go there for a unicorn cupcake. Yes, unicorns are EVERYWHERE. It is as if all the lovers of Lisa Frank grew up and demanded more unicorn. I messaged the owner before I posted this to see what was going on but didn't hear back in time. She did get back to me saying that she will be open again in the future. So that is nice.